A sandpile model having a probability to target the most susceptible site in the grid was observed to recover the spatial, temporal, and magnitude distributions of earthquakes events from Japan (JP), Philippines (PH), and southern California (SC) at a targeted triggering probability value of p = 0.004. Avalanches from a granular pile set-up with triggering done to the top-most location of the pile also captures the spatio-temporal statistics of earthquake events. The results were validated by a recurrent network analysis that sets spatial and magnitude criteria for temporally-directed links between events of the entire record, signifying that the model is adept at capturing even the underlying mechanisms of seismicity. By introducing the targeted triggering probability, we simultaneously recovered the following power-law exponents like those obtained for the earthquake data. We therefore believe that the targeted triggering probability is the parameterization of the memory inherent in the crust that results in the strong spatio-temporal clustering of earthquake events. D. Biton, C. Janer, and R. Batac. 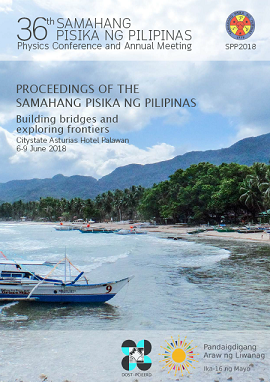 Statistical properties of avalanche in sandpile with targeted triggering and in granular pile set-up for earthquake modeling, Proceedings of the Samahang Pisika ng Pilipinas 36, SPP-2018-2G-06 (2018). URL: https://paperview.spp-online.org/proceedings/article/view/SPP-2018-2G-06.